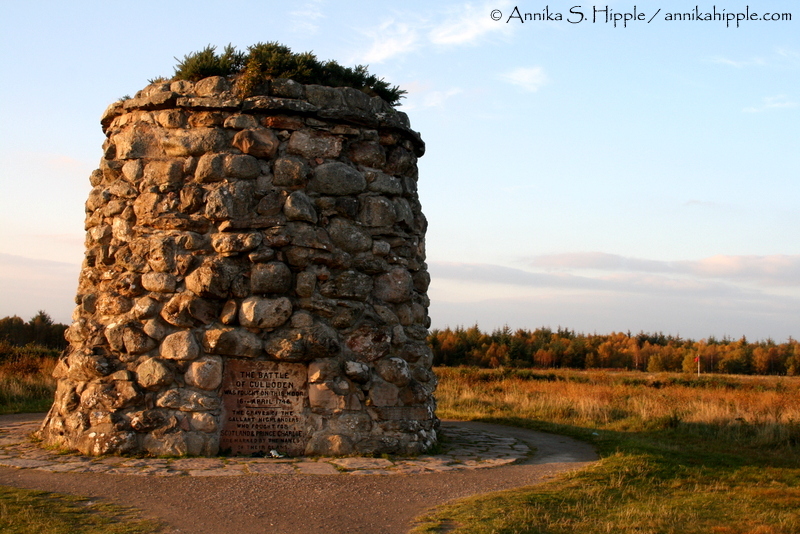 I walked the battlefield at Culloden in the golden light of an autumn afternoon. 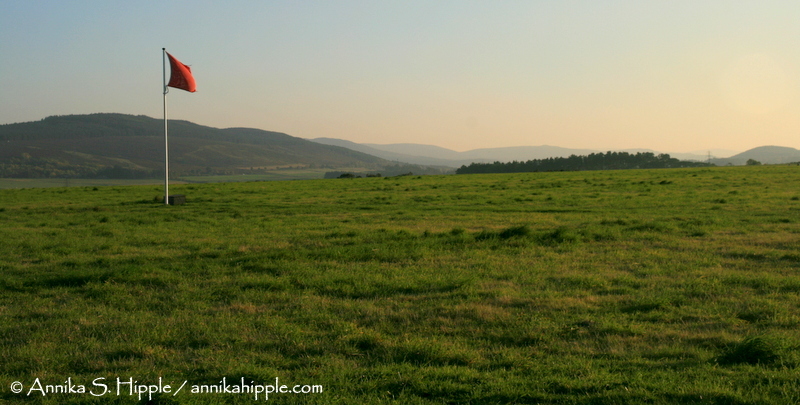 With my love of British history, this was one of the places in Scotland that I had really wanted to see – the place where Bonnie Prince Charlie and his Jacobite supporters made their last stand in April of 1746, the final chapter in the religious upheaval that had plagued Britain for over a century. By the time of the Battle of Culloden, the issue at hand was no longer a matter strictly of Protestant versus Catholic; it was a larger question of how power would be shared between the monarchy and the elected government. 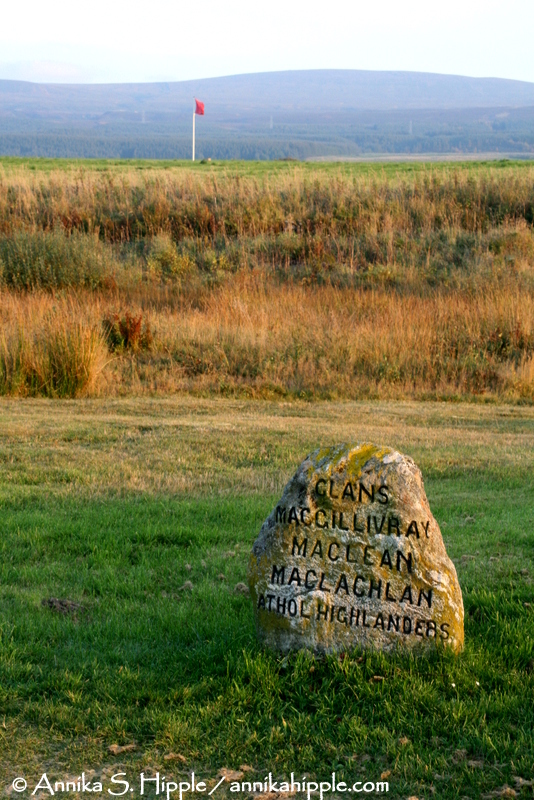 The last pitched battle fought in Britain, Culloden was a clash between the Jacobites, who supported the absolute monarchy of the Stuarts and whose troops were made up largely of Highland clansmen, and the Whigs, who favored a balance of power between the Hanoverian King George II and Parliament. The battle was a disastrous one for the Jacobites, who were significantly outnumbered and hampered by the marshy ground, which favored the artillery- and cavalry-centered fighting style of the Whigs over the guerrilla-style tactics characteristic of the Highlanders. Hundreds of Highlanders — perhaps as many as 2,000 — were killed, and in the aftermath of the battle Highland culture and power were systematically suppressed. Bonnie Prince Charlie escaped the battlefield and went into hiding, ultimately making his way back to exile in France. 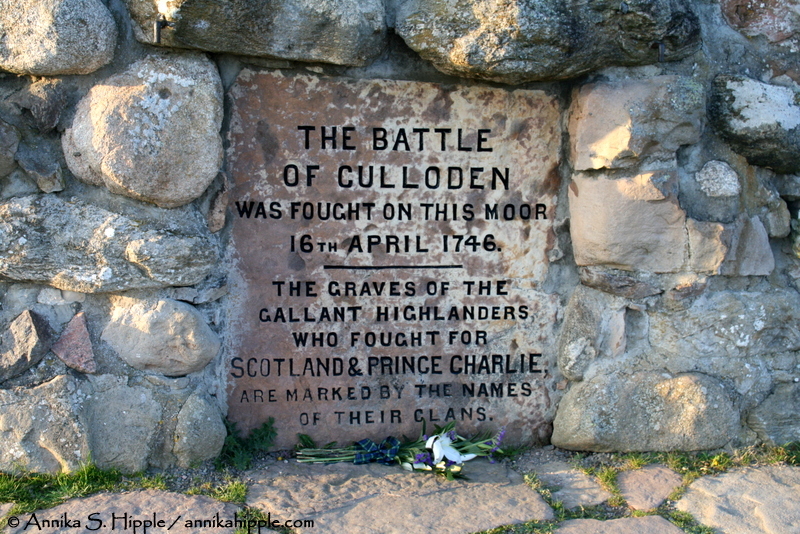 Visiting Culloden was an evocative experience. There’s an excellent museum that tells the story of this short but bloody clash, and the lines of the Jacobite and Whig troops on the battlefield are indicated at intervals by red and blue flags. 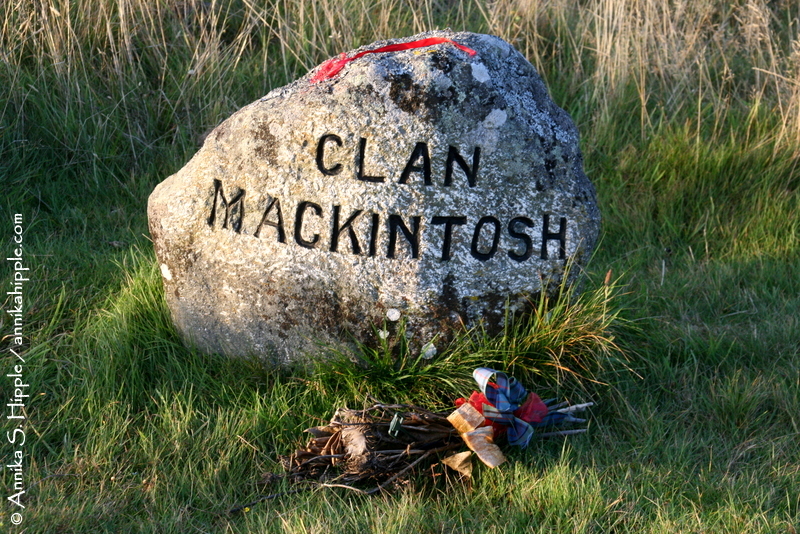 But most moving were the stone memorial cairn and the scattering of simple stones engraved with clan names marking group burial sites. And of course there was the inevitable romance of a lost cause. As I walked the field of green and golden grass in the dying light I could almost hear the cries of the doomed Highlanders echoing across the centuries.